Dear Reader: sorry for the long post and any grammatical errors; I just really hope my post encourages someone. Firstly, let me state, most emphatically, that in though my score shades in comparison to the 700s I see posted here, I am writing this in hopes of offering some measure of hope to someone out there that has a similar circumstance as I had. I truly must give my Lord and Savior thanks and praise because truly without his strength and guidance along the way to this point, I would have never gotten this score. It has been such an uphill battle for me for reasons that are quite common to many of us who juggle extremely hectic work schedules and other events as well as our personal desire to get to a better score and stuck between not knowing how to get there or if we have the strength to persist into getting there. Background and demographics: I am a 32 year old female with a dream of pursuing a PhD in Accounting - I have had this desire since I was 17/18 years old. I am a native English speaker from the twin isle of Trinidad and Tobago. I completed three degrees (a Bachelor of Arts Finance minor Accounting, a Master of Arts Accounting and a Master of Business Administration Finance) in the Missouri by age 26 (in 2009) and has since returned to Trinidad. I am now working in the capacity of a Accounting Comptroller (Senior Accountant) at a leading international Airline Services Company. I work upward of 60 hours a week and am usually on call for any issues or projects. I have never been strong in Math however I have always been extremely strong in English. I am definitely more literary but I can gain a strong performance in anything Math-based with dedication. I am not strong in standardized testing and am more of a visual and audio based learner. I read leisurely but I prefer to listen to study material rather than read it. 1st attempt in 2006 - 400 (no studying, just winged it and cannot recall the point breakdown). My only strength in this attempt, as I recall it now, was that I scored in the 99th percentile in my writing assessment. I was already at a four year University and wanted to gain a score to place on file at the next university I wanted to go to so as to pursue a Masters. I knew the staff at that University well as it was the first university I attended but had transferred out and completed my bachelors elsewhere. My baccalaureate GPA was a 3.4 out on a 4 point scale system. What was very evident to me then as well, though I do not remember my exact score on that attempt was that my Math was abysmal. I went on the complete a Master of Business Administration in Finance and a Master of Arts in Accounting. Scenario - I had just been entrusted with more responsibility at work and my company was in the midst of being taken over. Additionally, I was battling with the illness of a family friend as well as a fatigued body from working a lot of hours to ensure operations at the office were maintained while understaffed. 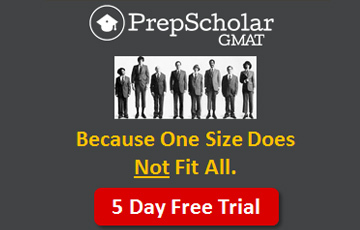 I was also indecisive as to whether I wanted to do the GMAT first or pursue the CPA. 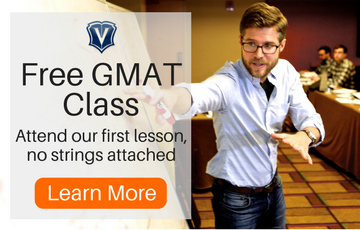 There was just so much going on and I could neither manage my time well nor seclude myself to give the GMAT a good shot. However, I persisted in trying to get through the Mathematics material as best as possible as I felt that that was my main weakness. Leading up to the exam (approx 2weeks out) I came down with a bad flu after my body had been fighting fatigue for months. Exam day: I was still sniffling I believe, lacked confidence, and managed my time poorly. I was able to finish all questions but I guessed a lot of them (especially for the math section). when my points popped up on the screen I felt utterly defeated. But honestly, I felt that I was set up to fail before I got into that room. Though I lacked the confidence walking in, part of me hoped I would still have a better result than what I then saw before me. I left the exam room and on my way home I broke down in tears: frustrated, defeated, angry at myself and my workload, asking God why......but with one hope: Lord I just need that math to get up to my verbal score at least. But where could I get that help from and how could I make it happen? I took a break from the GMAT as in July of 2014 I was promoted and in November of 2014 someone who was like a mother to me passed away. She was diagnosed with abdominal cancer in August of 2014 and passed away in Nov 2015. I was able to be with her before she passed but it broke me up. I trusted God but it truly broke me up. I took some time away and tried to focus on work but at the back of my mind was that thought: God I want to pursue a PhD some day. 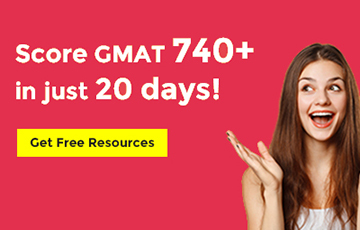 I have wanted this for years but I don't know how to get over that hump that is the GMAT and I really don't know if I have what it takes (time, energy mainly) to throw myself in the ring with it again. So I contemplated, prayed, hoped, waited, browsed through success stories and decided by summer of 2015 that I was going to give it a go again. I looked for material and took up the MGMAT first. The MGMAT has a lot of detail that is really helpful to get anyone struggling with the basics back to a comfortable understanding base. What I lacked as well was strategy. I was of the belief, at that time, that I needed to answer all questions correctly and that I should absolutely NOT be guessing on anything. I also felt I needed to know allllll the material. MGMAT gives an excellent coverage of all material however it is so much detail one can easily get bogged down or bored or feel overwhelmed. 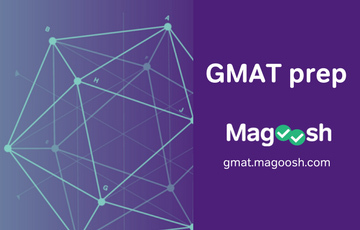 However, if you are a person who learns quickly or easily by reading, needs to go back to the basics and be taken to the advanced and have another source for practice questions along the way, MGMAT is an excellent source. They also have online practice exam packages that are a tad bit more difficult than the actual exam and that would help as well. If you have never used TTP, I fully recommend them. I completed 71% of the material in 2 months and can safely say that they are excellent. 1. The user interface is excellent with everything clearly spread out accross the page and easy to find. The design makes you feel excited to learn and to see your progress. 2. They offer a wealth (and I mean a loootttt) of practice questions at the end of the chapters. The question types range, in difficulty, from easy to medium to hard. Excellent, excellent source. This way you can gage how you are doing and how you are doing is also well placed on your dashboard so that you know your strengths and your weaknesses as well as your overall progress with the material. You have the option to re-do questions in chapters to improve your skill level. 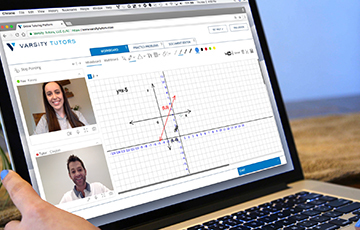 They only have an online interface material set for Math but I have heard others note that the admins Jeff and others assist with english if communicated to. They also have tuturing sessions but I didn't go for it as the online material was sufficient for me. 3. They have chapters that after completion of each page there are a few practice questions on the topic of that particular page. The explanations of those questions are in video format which is excellent. Jeff breaks it down so well. And in addition to those questions at the end of each page to keep you engaged, there is a great question bank at the end of each chapter as previously mentioned. Additionally they have webinars on youtube and invites for webinars that can further help you hone in on the areas that you need more help with. Again: Excellent source for Math along with GMATPrepnow. 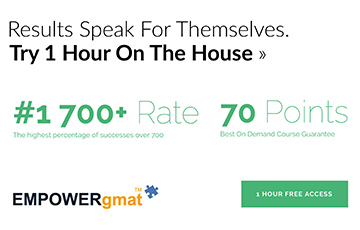 GMATPrepnow is great because it has all your math and english material in video format so you see the instructor (Canadian guy as I could hear how he pronounced about ) go through material knowledgeably and clearly. It was invaluable. It filled in the blanks for me in the area of sentence correction and some math content. I love video and audio learning so this did great for me. I fully recommend them for SC and Math. 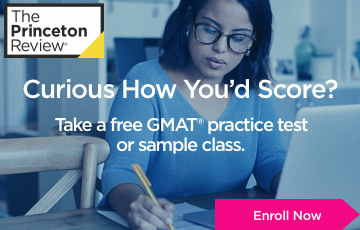 So I started seriously prepping on Oct 25th with a subscription to TTP and a purchase of 6 online practice tests from MGMAT. I set my exam date in December 2015 for Feb 12th 2016. I found TTP after feeling overwhelmed once again with MGMAT texts and in person classroom sessions with a local representative for GMAC testing administration. I gave up on the weekend classes in Oct 2015 and decided to become a hermit after work and sit in reading and listening to audio into late while juggling projects for work. I prioritized leaving work by 4/5p daily and managed my communications with others as well as my work projects to put in approx 2-4 hours on weekdays monday to friday and 8 hours on the weekend. 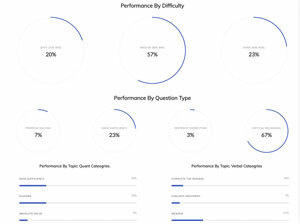 I went through 71% of TTP material and started seeing that results in practice exams. My first two exams were untimed and my results were 600 (Q45, V28) and 580 (Q39, V31). I do not recommend untimed as timed allows you to understand and work on your timing issues early on. I also did those without the IR as IR was not my focus. 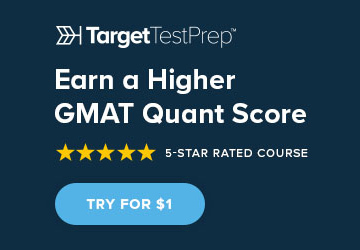 My remaining MGMAT practice tests were 640 (Q44,V33) with Quant timed and verbal untimed (85mins to complete verbal), 520 (34Q, 28V, 3.5IR) timed, 460 (Q23, V31). As you can see from how my scores went when I started timing it, you will note the drop. Needless to say I felt utterly dissapointed with tmy last score. I fought against the sadness and decided to take a break that day. I left for church, relaxed with my friends and came back to inspect my score. I noted that my concentration was excellent into the first 15 questions but then it started to wane into the 23rd question for Math mainly and for Verbal to a lesser extent. I had a stamina problem and I was nervous when the clock started ticking. To correct that, I spent time looking at what I got wrong and why and looked intently at and read some articles on learning to know what questions to skip or guess on and move on for timing sake. This helped me alot and I spent the rest of my preparation doing online Official guide timed questions for Verbal and reviewing my weaker areas in Math. I spent time also on the areas that came a lot on the exam. I reviewed how I was answering them and the time it took me to figure out what was being asked and how to best answer it it the remaining time. I really honed in on the answers I was getting wrong and why and on stamina. I started committing to answering 30-40 questions in Verbal and Math each day timed so that I could work on stamina and reviewing each answer with the concept. I spent some time as well looking at eGMAT videos on sentence correction re: Like vs. As, Verb-ing and Verb-ed modifiers. I took pictures of formulas with me to work and would pop them out at any time and look them over as well as practice questions I had worked. I would pull open GMATprepnow and TTP while waiting in my car at times for different things or while away from my laptop. I really spent time keeping the GMAT on my mind and praying and believing that it could pay off if I persisted. I am now perfect and I am not brilliant but I am also not a quitter. 4. Work hard but more importantly: work smart (use your time efficiently when studying). I.E. know when your concentration is likely to be higher and choose that as your study time. 6. Rest well. Know how much hours you need to feel rested and know when you just need to go to bed. Find innovative ways to still study even if you didn't get a prior session in. I would take pics of material and pull it up at times just to keep the GMAT on my mind or rehearse what I learned from prior days just to keep in that mode of awareness. 8. Work on your exam timing. 9. Work on your stamina. 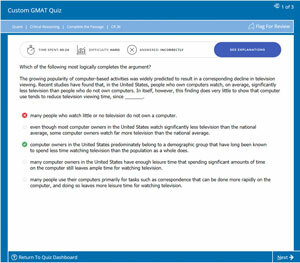 Don't be fooled: the GMAT is a marathon, not a sprint. 10. 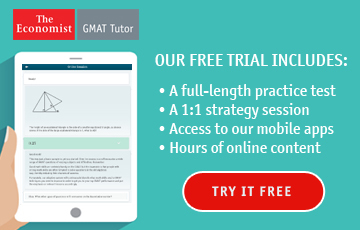 Know the GMAC strategy and understand when you can guess on certain questions to save on time and move on. It is a give and take. Know what you can answer in x amount of time and what you can't and forsake the attempt to gain the next question that you can answer accurately and under the approx time per question. Now I am now saying skip several, just do so with some and do so wisely. 11. Research your study material before you choose it and know how you learn so you know which to take and commit to using. 12. Exercise; know when to take a break from the material but not for extended periods on end or to take away from your focus but rather to re-focus and re-energize. 13. Prioritize what is important to you now as you prepare and what is not and work with that in mind. Compartmentalize as best as you can. 14. Write notes as you study. Writing is proven to assist with memory and it gives you something to look back on and take the time to review your work to. 15. Review you mistakes and understand why you are making them. Are you too tired by the time you get to that questions? Is there a trend in terms of why you are getting things wrong? At what point in the exam do you usually get tired? 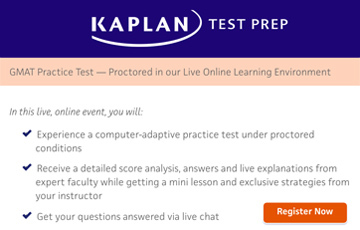 What time of the day are you studying and taking the practice exams and is that affecting your score? What external factors are contributing to wrong answers; are you allowing your mind to stray while studying or testing? How long can you keep your focus? Know yourself and how you respond to scenarios and what is affecting you. Most of our answers are wrong due mainly to lack of focus, misinterpretation of what the question is asking or just plain laziness. Find out why you are making mistakes and try to reduce them. Keep doing practice questions...I can't say it enough: practice, practice, practice, review, review, review i.e. debrief your performance. I truly am sorry for the long post and truly truly just hope it encourages someone out there to exceed what I have or meet their goal. I pray that it firstly glorifies God and that it helps at least one person. God bless and all the best to you all AND Thank you "beat the GMAT" and all posters, your daily posts and notifiers encouraged me BIG TIME. You're doing an amazing Job!!!! So thank you to Beat the GMAT, to TTP, GMATPrepnow, MGMAT and all other study material used and to great friends and family supporting me and above all to my Lord and Saviour Christ Jesus (you were, are and will be my way, my truth and my light: thanks for lighting my path). Normally, I might protest, but that's the second time this week I've heard that remark! First, good for you!!!!! I keep telling myself that God is in charge of every. single. question. on test day, not me. Your post is very encouraging to me. I can't imagine the stress you were under leading up to your test. Now that it is done, I really hope you have a chance to rest. Until your next adventure, that is! Thank you colleen_shane. Persevere and believe that God makes no mistakes with his timing. Overall, persevere and you will reap the benefits. I decided to re-do the GMAT so I am hoping for another 130 point jump with Hard work and prayer . Once it is accomplished, by the grace of God I will be on here to testify I am believing and I am encouraging you to do the same All the very very best in your preparations. Congrats for your hard work and perseverance. I'm on the same battle now. 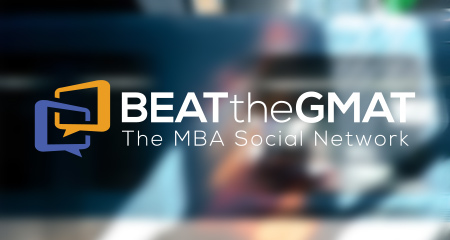 I'll take the GMAT for the first time in May and need to score a minimum 600 there.